When it comes to dating in UK, few locations can match the combination of jaw-dropping scenery and romantic activities than the English West Country. 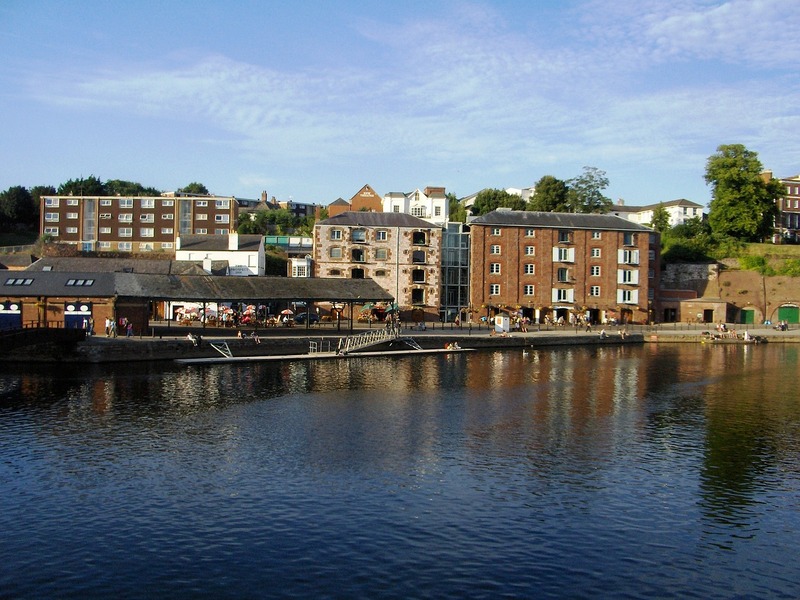 Far from the UK’s urban metropolises, Exeter is the largest city in the beautiful county of Devon, nestling on the banks of the River Exe, and home to numerous charming historic buildings. Whether you're local to England or a visiting couple who have alighted on this part if the country and are seeking a tranquil retreat, you won't be disappointed. Here are five of the most romantic activities to do when taking a romantic break in Exeter. What better way to enjoy your trip to Devon than taking advantage of the West Country's most popular theme park? This part of southwest England may be associated with sleepy villages and cider orchards, but there is nothing quite like embracing the full fury of wild rides, indoor play areas, life shows, and friendly animals. The park offers over 75,000 square feet to be explored, including a wild bear kingdom. At the last count, the theme park boasted more than 60 fantastic attractions. After spending some time taking advantage of so much frenetic activity, you will feel like retiring to the nearest bar to enjoy some of Devon's finest ciders. And nobody would blame you. Everyone has heard of Devon's famous clotted cream. But if you would like to do something just as romantic as enjoying a high tea, but involving cuisine which is a little more adventurous, spend time in any of Exeter’s delightful Thai restaurants. Here you can enjoy a variety of sumptuous feasts, including classic red and green jungle or Penang curries. One particularly recommended dish is a whole sea bass, cooked Thai style, smothered in delicious herbs and garnished with sauce. England's West Country often languishes beneath summer sunshine, so if your romantic break coincides with a particularly hot day, it is recommended you take a stroll down to the quayside. Here you can explore cobbled paths snaking between large buildings which were previously warehouses. The good news is these have all been converted into a mishmash of craft workshops and quirky boutiques, along with a tremendous choice of bars and dining outlets. Afterward, why not treat yourself and your partner to ice creams? Head down to the waterfront and watch the waves lapping the pier. If you're feeling like some physical activity during the day, head over to dance foreign shop just on the periphery of the city and hire vintage 1926 Pashley bikes. Once you've clambered on board, you can head along the path running parallel to the River Exe. From here you can make your way to the seaside resort of Exmouth or Topsham, a charming little market town with many different areas to discover. This is the best way to explore the fantastic scenery surrounding these towns. There are many boutiques and craft shops, and after a degree of strenuous cycling, what better excuse to knock back another couple of pints of refreshing Devon cider? One particular outing which may not appear too romantic is to enter Exeter's hidden vaults. You'll be given a hard hat as your guide escorts you round the only publicly accessible system of medieval passages like this anywhere in the country. Originally built to channel fresh water pipes, your guide will regale you with ghost stories in this subterranean lair. Your shared apprehension will bring you and your partner so much closer!